Whether you are looking for an overnight stop, holiday spot or long term accommodation, we may have something to meet your needs. The trees provide plenty of shade during summer. Come and join us at Tongala Caravan Park. We look forward to sharing our park with you. 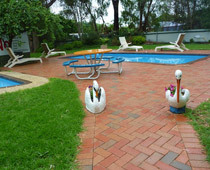 From here you can discover and enjoy Echuca and the Murray, Kyabram, Shepparton and surrounds. 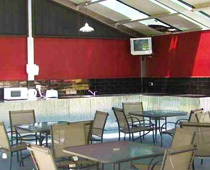 A quiet, off the highway park in a picturesque setting. 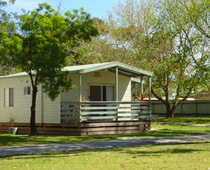 Our friendly family run park provides an excellent range of reasonably priced accommodation to suit your budget and requirements including ensuite cabins, holiday units, powered and unpowered sites and ensuite sites. 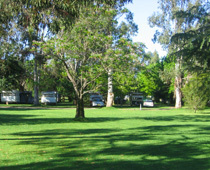 Tongala Caravan Park offers shady sites in a relaxed setting. 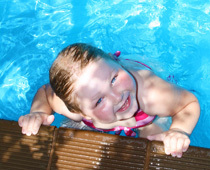 We have drive through sites available which can accommodate larger caravans and motor homes. 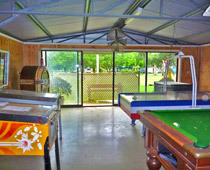 Facilities include camp kitchen, BBQ, playground, recreation room, TV room, and swimming pool - perfect on a hot summer's day. Bird life is prolific adding to the tranquility of the park. 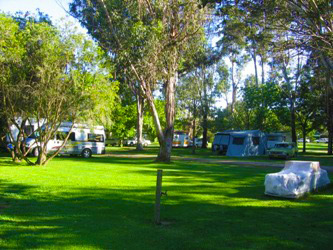 Wake to the pleasant sounds of birds and the peaceful setting of the camping ground. Stroll around the park or have a dip in the swimming pool or just simply relax with a book under a shady tree. In order to ensure a pleasant stay for yourself and our other guests, we ask you to please observe these simple terms and policies. 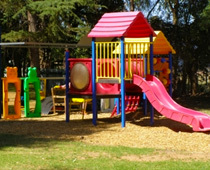 Take a look around our park from the comfort of your own home.